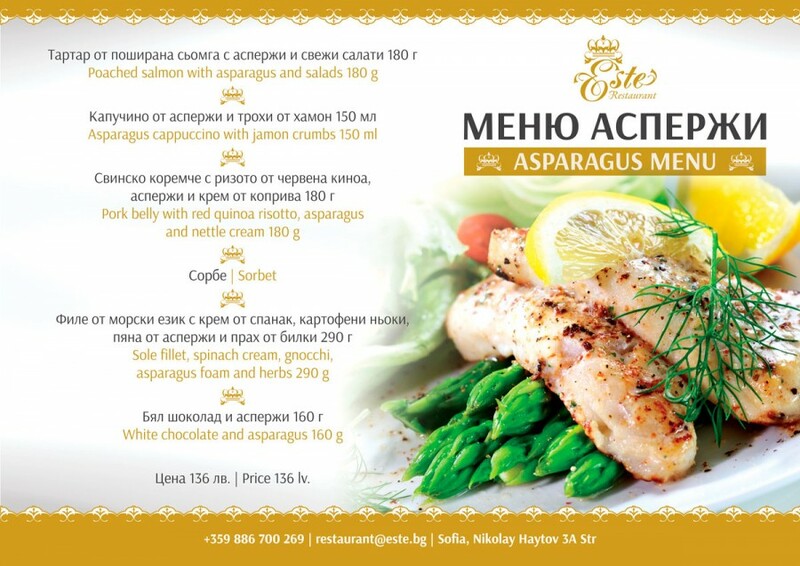 Exciting dishes that combine freshness, flavour and culinary fantasy – this week we invite you to try our special Asparagus Menu! 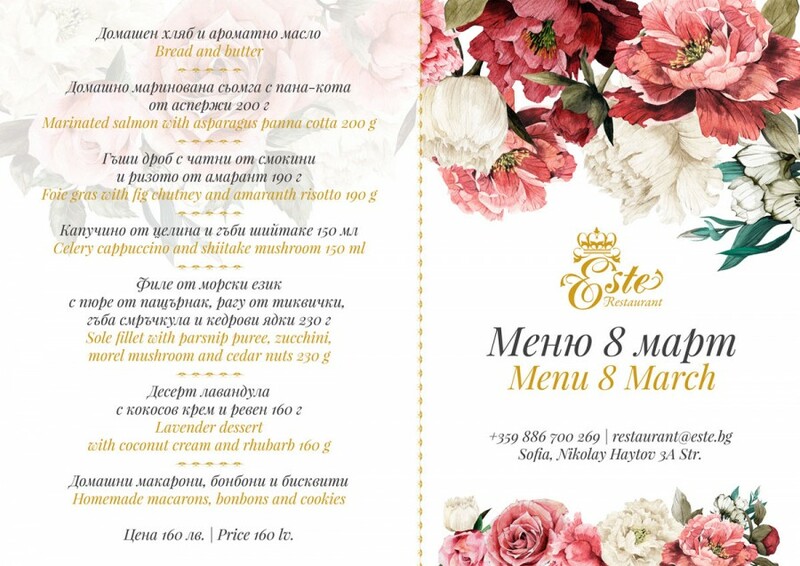 Come in..
Let your beloved women feel really special on March 8! Invite them to dinner at the Este restaurant and enjoy an exquisite menu of..
On February 14, we invite you to immerse yourself in a unique romantic atmosphere and to treat yourself and a loved one with an..
We have prepared something very special and very tasty this week – a Persimmon Menu that will take you to the Paradise of culinary.. 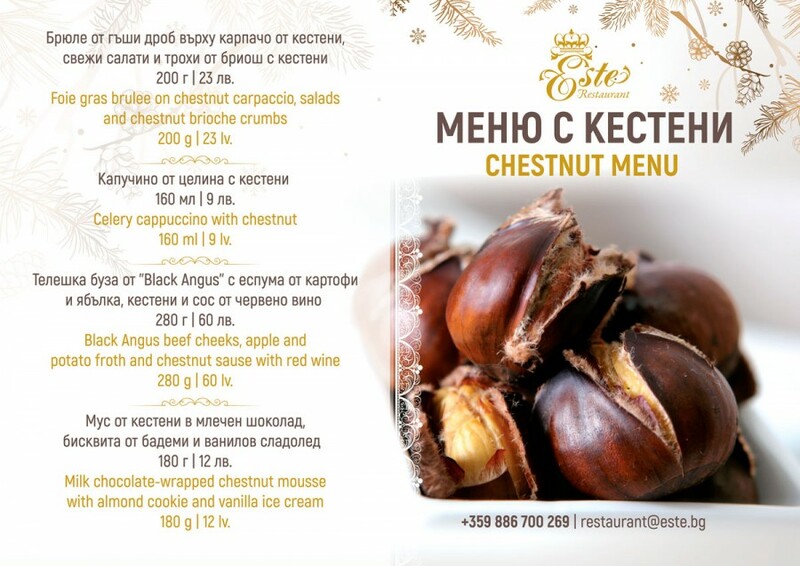 Try our Chestnut Menu this week at Este! Immerse yourself in the aromatic magic of the chestnut specialties prepared with great taste and mastery for you! You are welcome to try.. 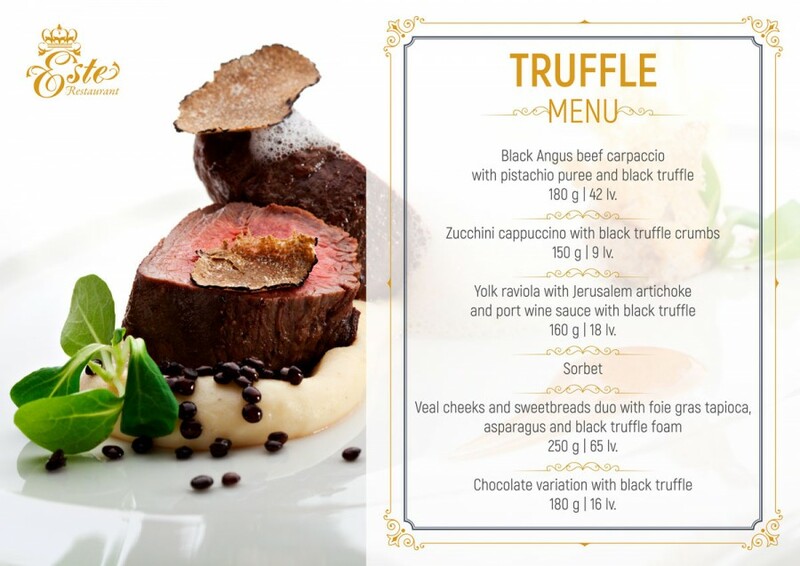 Enjoy our special Truffle Menu! This week we pay special attention to the “Food of the Gods” – the truffle! 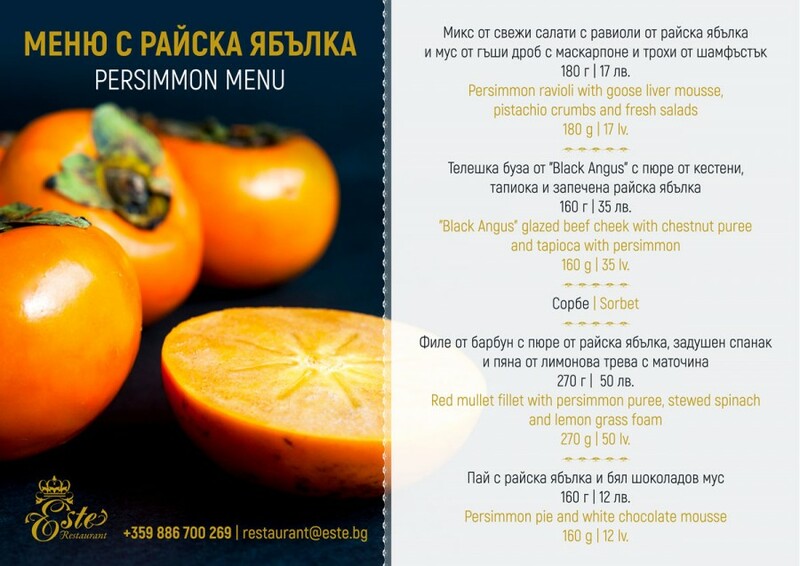 Come visit us and taste the unique dishes with black truffle..
Pumpkin Menu this week in Este! 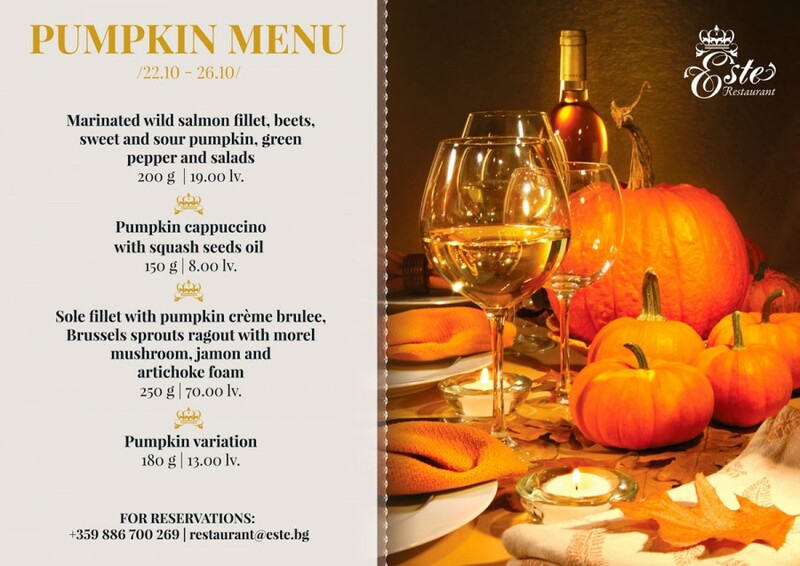 We invite you to visit Este Restaurant from October 22nd till October 26th to try our special Pumpkin Menu! 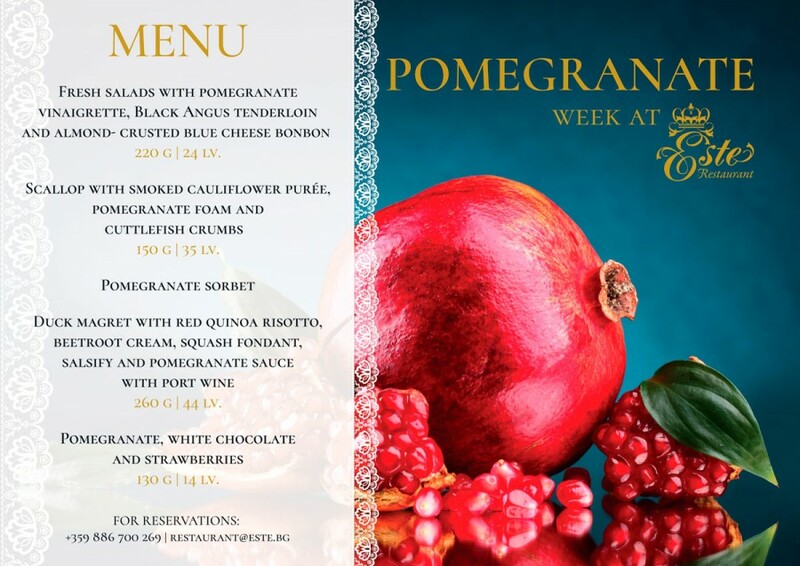 Our culinary masters have..
Let’s celebrate the end of the summer with our special week dedicated to a delicious superfood – pomegranate! Until November 8th, you..
Are you ready for a magical culinary experience? 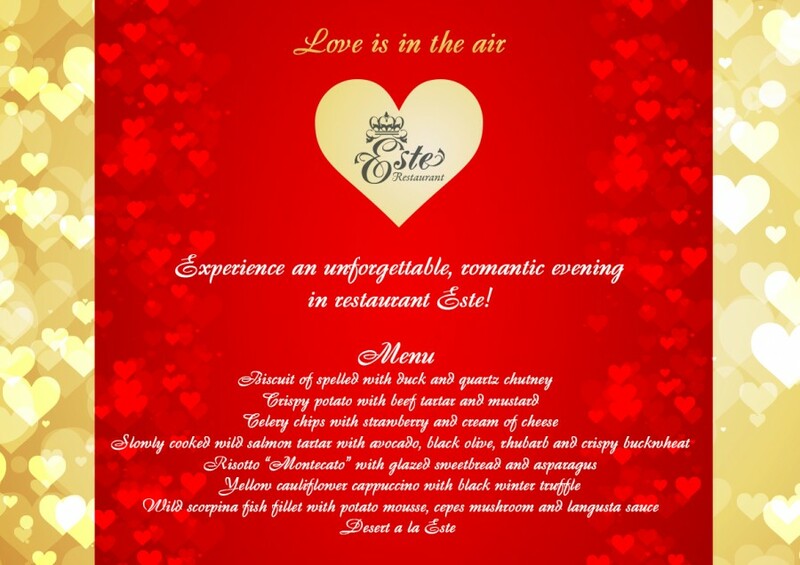 Chef Nichola Gronchi is coming for a special dinner at Este Restaurant on April 17, 2018..
Love is in the air! 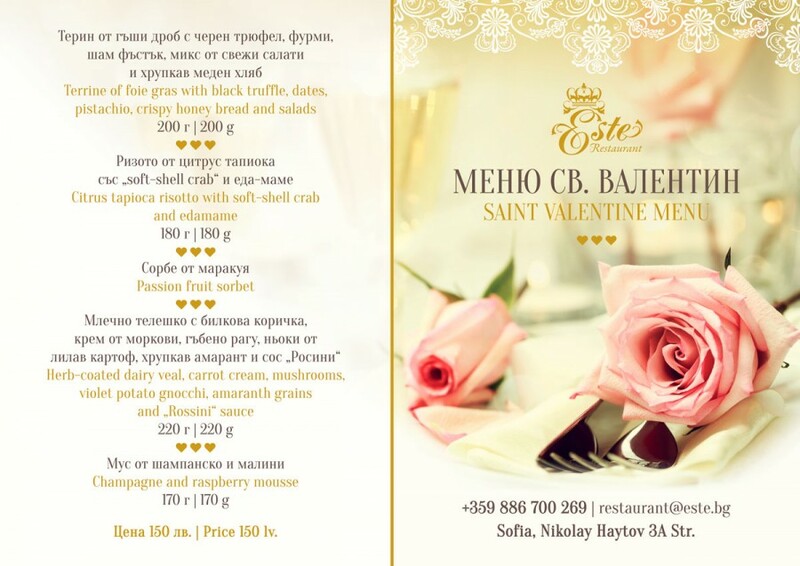 Experience an unforgettable romantic evening with our specially selected menu!